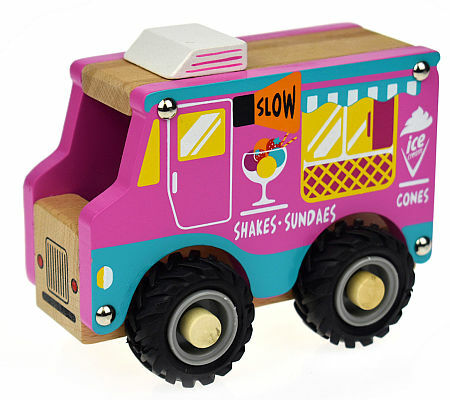 Wooden Toy Ice Cream Van is a beautifully made pretty pink truck with lovely tough rubber wheels. This Ice Cream Van is well finished with ice-cream cones painted on its sides. We like this because: "Lovely to see a pink truck."